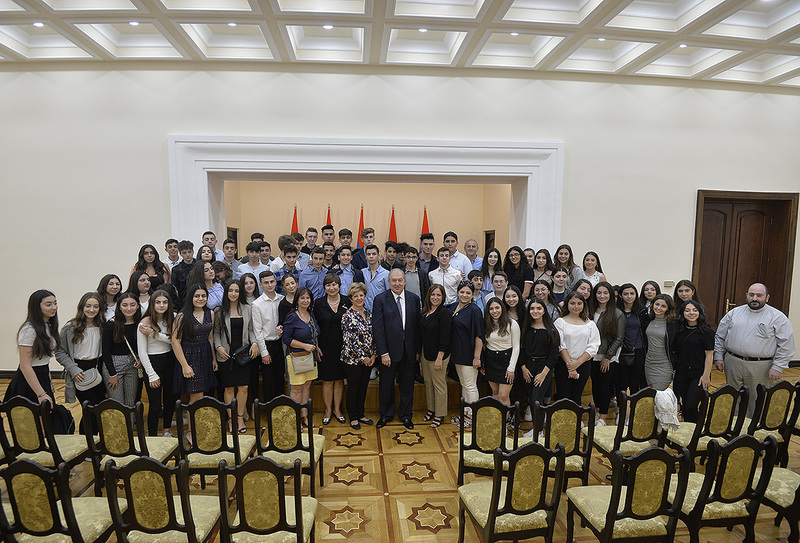 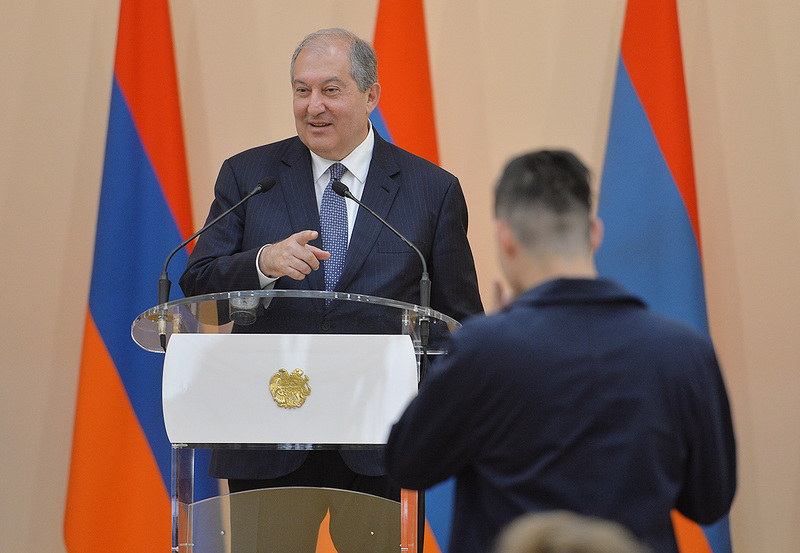 President Armen Sarkissian received today students of Manoogian-Demirdjian School of the Armenian General Benevolent Union (AGBU). 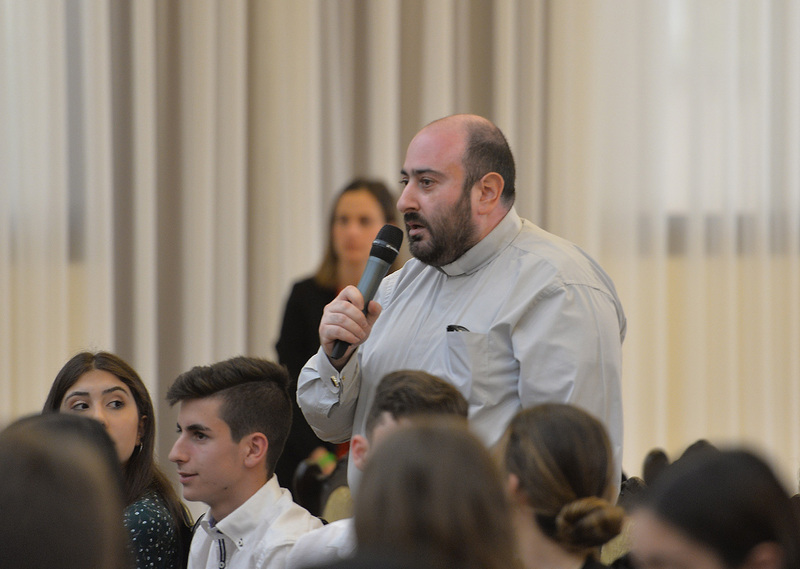 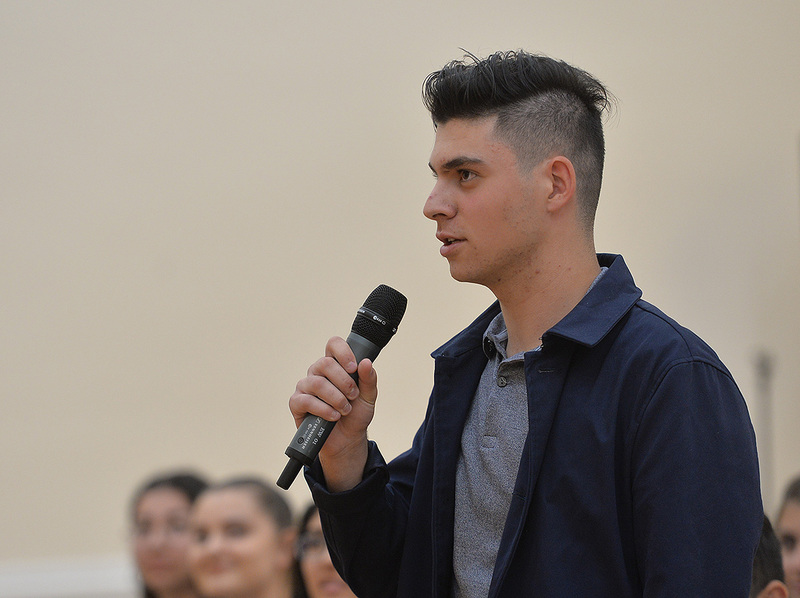 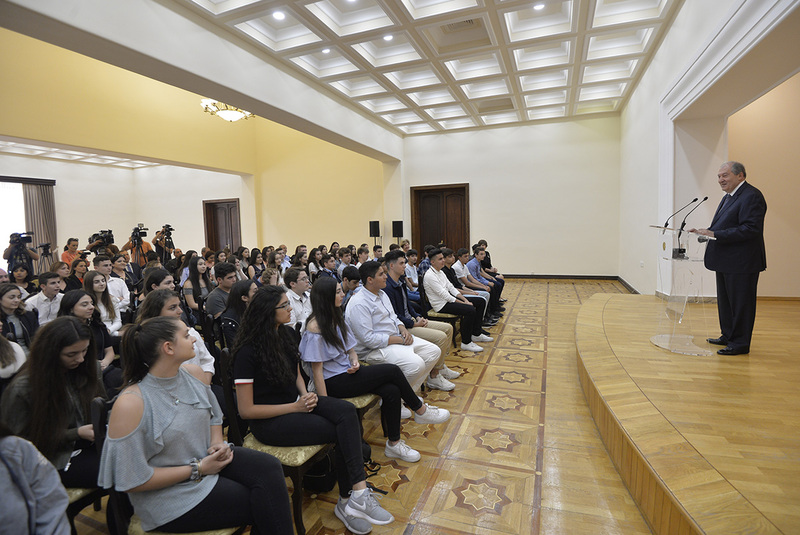 Students from senior classes of the School based in California, USA are spending their two-week vacation in Armenia and have already visited a number of sites. 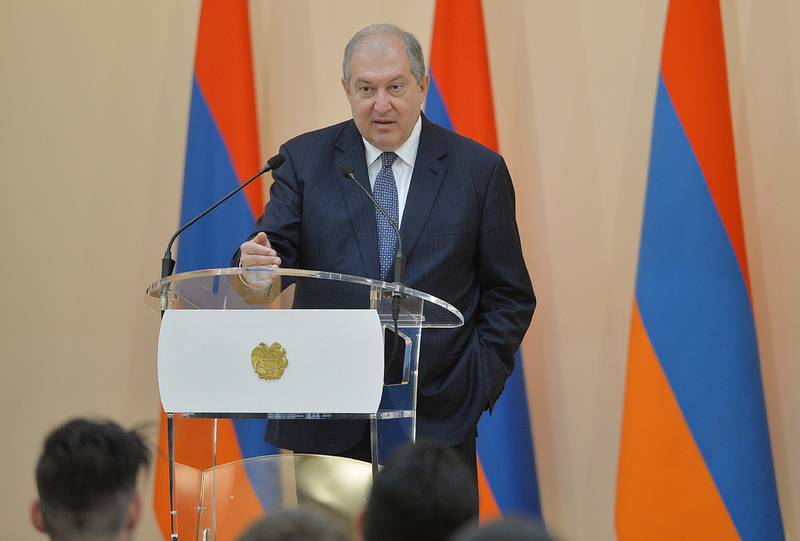 They told the President about their impressions from the visit and presented their views regarding the future of Armenia. 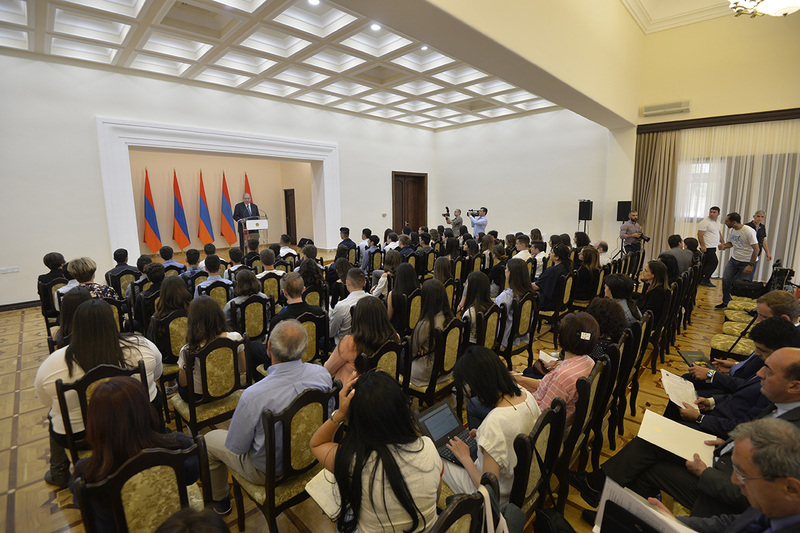 The President responded to their questions which were related to the prospects of Armenia’s development, internal and foreign policies. 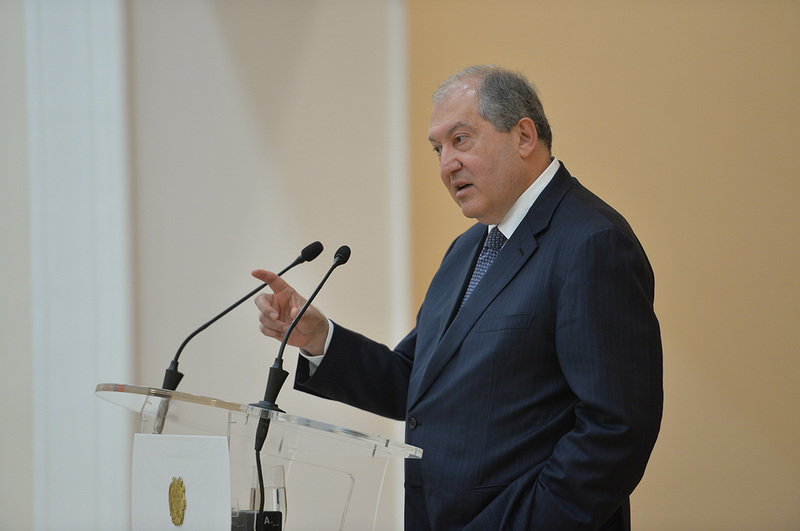 Speaking about Armenia’s opportunities for development, the President of Armenia noted that the economy of our country is not dependent on one particular sector – oil or gas – nevertheless has a huge potential for advancement. 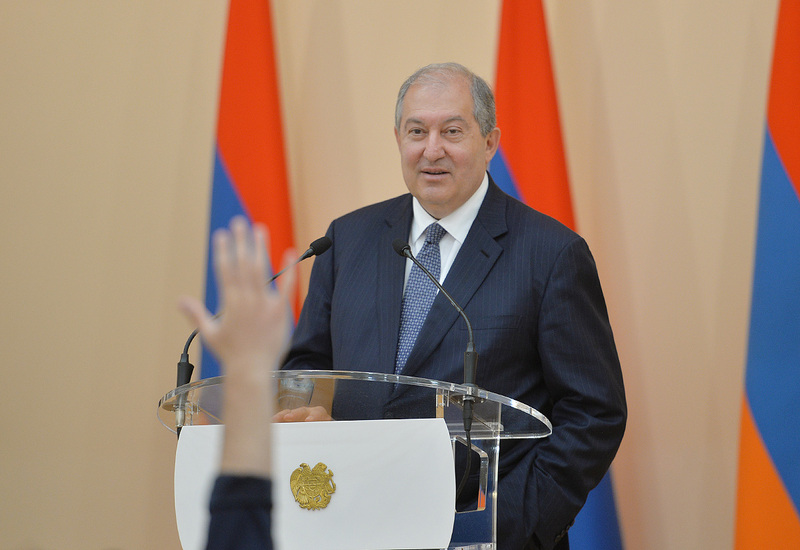 He noted areas of information technology, tourism, pharmaceuticals, banking and services as the most promising ones. 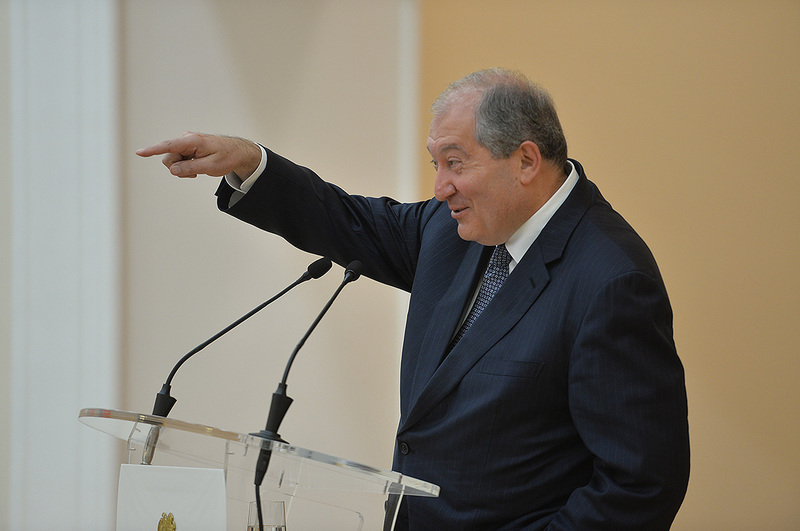 The educational system also possesses serious potential for development. 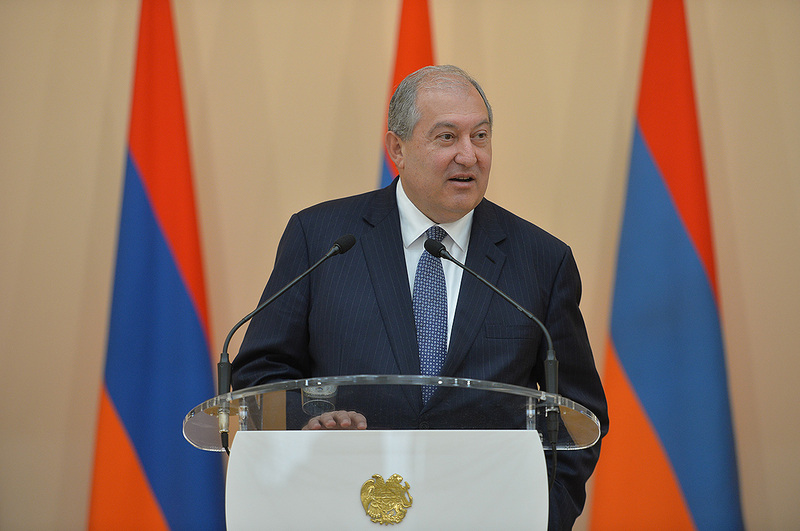 According to Armen Sarkissian, homogeneous development of these areas might provide for the sustainable development of our economy. 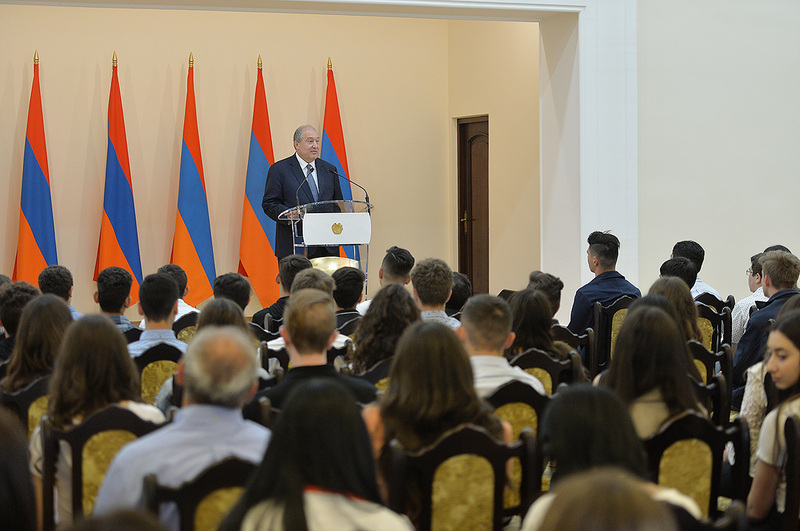 “Our great wealth is one thing which is unlimited, it has been infinite for millennia: It is your being Armenians, your genetics. 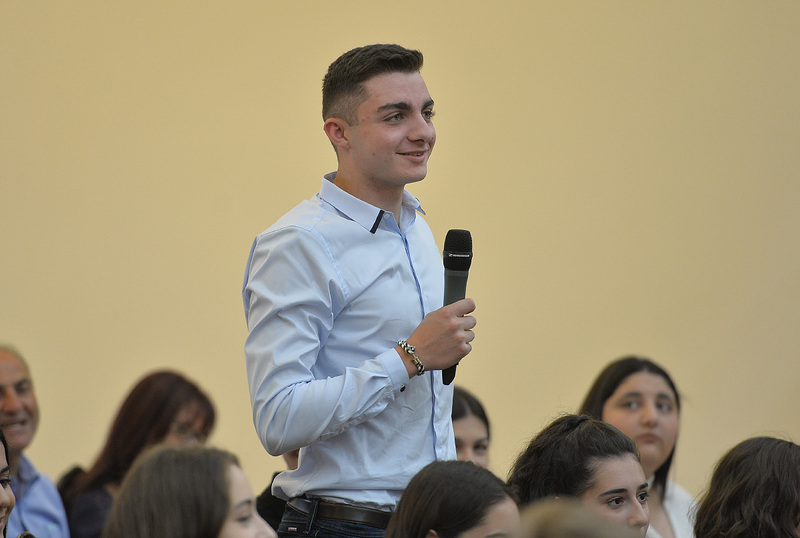 You are all smart. 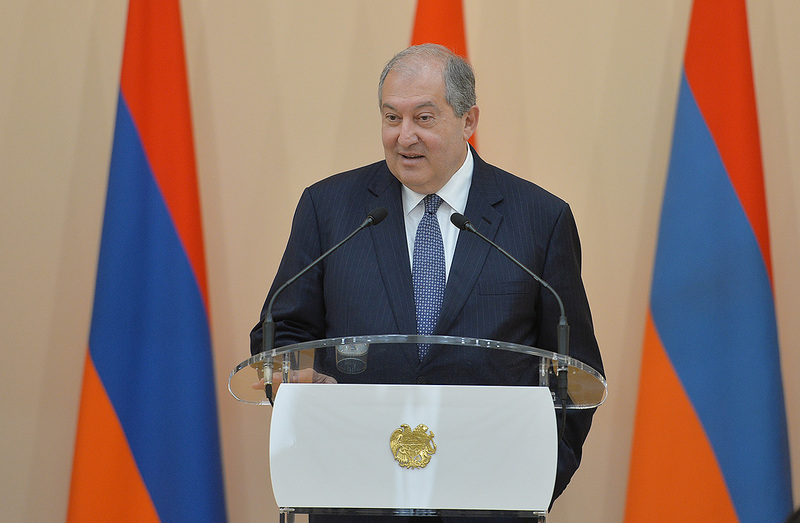 Just need to be diligent, honest, dedicated and proud of what you are,” the President of Armenia said. 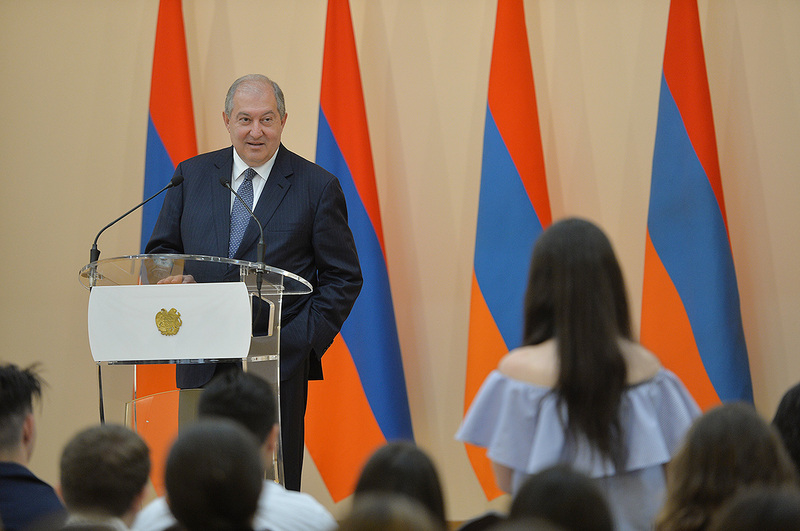 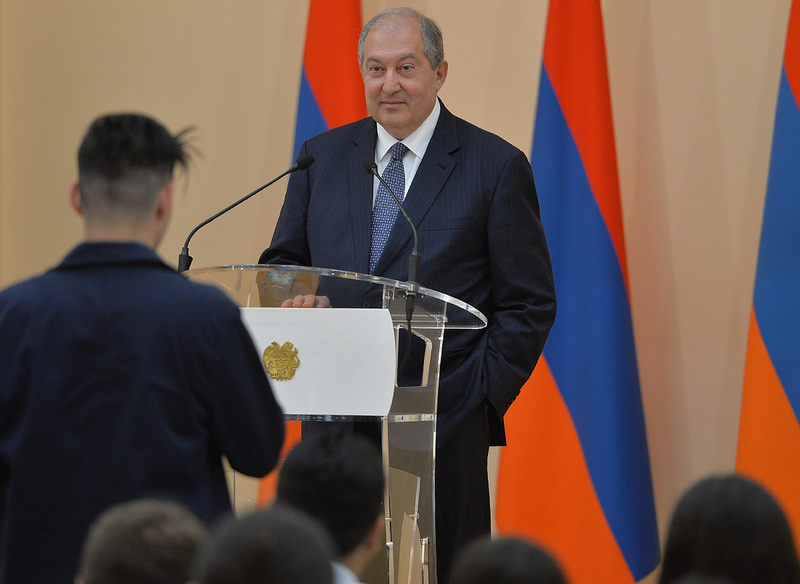 At the conclusion of meeting, President Sarkissian presented to Manoogian-Demirdjian School Wonders of Armenia book authored by Samvel Gasparian.